A scientific informatics platform with lab execution system-like capabilities. Is your bioanalytical lab crowded with software applications and disparate tools? 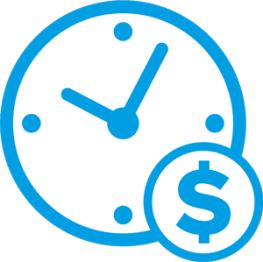 Are you losing time and risking errors with manual data transfers? Do you have the ability to easily report results internally or exchange experimental data with your partners? We can help you manage and streamline your operations, with our solution that has been designed to be integrated from the outset. The IDBS Bioanalysis Solution enables you to create and manage electronic methods to drive all aspects of sample analysis, including sample preparation, instrument set-up and post-run scientific review. 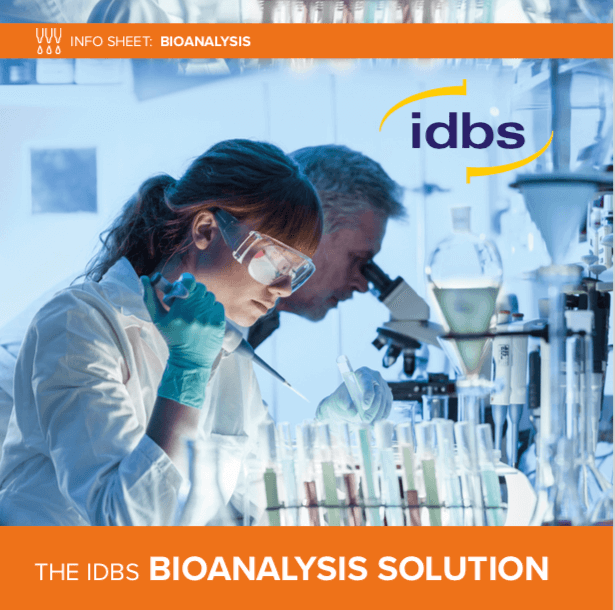 The IDBS Bioanalysis Solution can consolidate run data from your LIMS and facilitate the compilation of study reports. Along with on-premise and hybrid client options, the IDBS Bioanalysis Solution can be deployed in a controlled, fully validated GxP Cloud environment – providing security, eliminating paper, reducing total cost of ownership (TCO), and reducing time-to-value (TTV) for you – letting you get back to what you do best: science. Find out how our bioanalytical workflow solution can reduce bioanalytical project timelines, improve data integrity, eliminate paper, and reduce time-to-value. The E-WorkBook Cloud is an enterprise scientific informatics platform that harmonizes work orchestration of dynamic research and project teams, empowers collaboration and externalization, and ultimately supports technical innovation and the protection of intellectual property. Using preconfigured workflows based on industry best practices, the IDBS Bioanalysis Solution has the ability to support common laboratory processes for both small and large molecules. You can shorten study duration by up to 55% by streamlining study review and QA audit, eliminating paper study binders, performing daily verification and annual calibration of equipment, and facilitating sample preparation by easing the documentation burden. Are you ready to accelerate study completion and get back to doing what you do best: science?